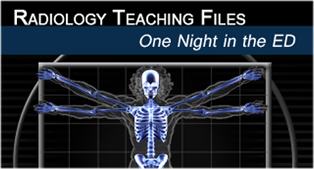 Recently released Radiology 2.0: One Night in the ED lets you take a glimpse at radiology of common Emergency Room pathology. It brings a number of cases with adjoining scans and detailed discussions to the palm of your hand. CT Scans are supported with labels to assist the viewer in understanding what is happening. The interface is smooth and all content is stored within the app, so it can be viewed offline later. The app is designed for students through to physician's in other specialities who are interested in radiology. This is currently the first volume, and hopefully it will continue to expand. Best of all it is free. For a comprehensive review by iMedical Apps.